Early Arctic snows have arrived, having been forecast for well over a week and gradually filling the country from Scotland southwards. Still, this information did nothing to help the “authorities” take precautionary action and the country has ground to a halt with roads, railways, airports closed leading to schools shutting and people not getting to work. The “authorities” claim they will learn lessons from this. Will they? 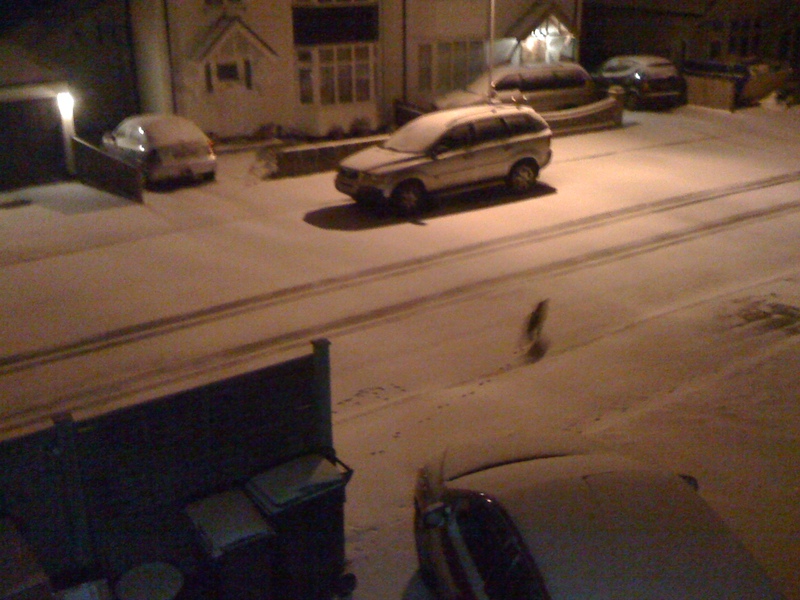 The view from the upstairs study sees our local fox exploring this ungritty environment. I thought David Cameron was going to bring back hunting?